Posted January 2, 2014 by Norburn Lighting and Bath Centre & filed under LED, New Products . 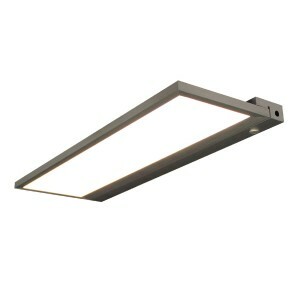 Utilizing the latest illumination technology from the retail display industry for excellence in under cabinet lighting, Norburn Lighting introduces the “LINE”, a new edge-lit LED task luminaire from WAC Lighting that delivers an asymmetrical forward throw light distribution. 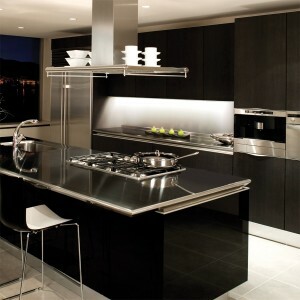 At the forefront of LED Lighting, Norburn Lighting is the source for LED Lighting in Vancouver. LINE delivers the highest uniformity ratio on the task plane compared to other halogen, fluorescent or LED task fixtures for full coverage. The luminaire provides up to 50 footcandles from 30 inches, with an efficacy of 52 lumens per watt. Using the most efficacious mid-power LEDs in the market, LINE delivers luxurious color rendering for full color spectrum illumination, with an extraordinarily high 80,000 hour rated life. The luminaire delivers optimal glare-free quality light that is free from multiple shadows and hot spots reflected back from counters, all from a half-inch deep luminaire. Utilizing the patent pending magnetic docking station, LINE is the only fixture that can easily attach or detach from the dock for convenient tool-free cleaning and installation. Easily installed under a cabinet, it is constructed with hidden connectors for end-to-end attachment and 2 screws for mounting. The LINE luminaire is crafted of recycled extruded aluminum and polycarbonate and is finished with an abrasion resistant Brushed Aluminum. It is available in five different lengths and features a sleek, built-in high/low switch that can be located by touch and feel. 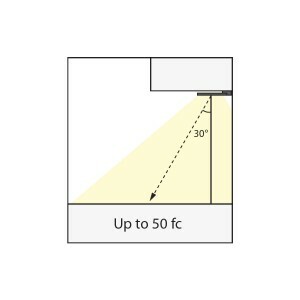 LINE can also be dimmed to 10% while maintaining light quality. WAC Lighting is a leading global manufacturer and innovative designer of lighting for Luxury Residential, Commercial, Hospitality, Institutional, Retail and Architectural applications, specializing in track, recessed, under cabinet, monorail and decorative lighting, with a new sustainable LED collection. WAC has developed a stellar reputation for upscale decorative and task lighting lines backed by an extraordinary level of service, an unprecedented shipping record, and a Five Year Product Warranty. To reflect Green energy saving strategies, social progress and community involvement, WAC uses the brand standard “Responsible Lighting” that reflects the company’s holistic approach to business, encompassing a deep commitment to responsible eco-friendly manufacturing, extensive research/development, energy saving technology, and altruism. WAC offers a broad range of award-winning products: LED and Low/Line Voltage Track and Rail Systems; LED and Low/Line Voltage Recessed Downlights; InvisiLED® LED tape systems for indoor and outdoor applications; LEDme® Step and Wall Lights; Artisanal Glass Pendants and Wall Sconces; LEDme® Step and Wall Lights; Organic LED Luminaires, Display Lighting; and SMART Transformers. Nearly 90% of WAC Lighting products are fabricated, to a component level, within its facilities a wholly owned zero-landfill manufacturing campus.